Hamilton won his first Drivers’ Championship in 2008 with McLaren, but had to wait and gamble on a move to Mercedes before adding a second in 2014. This year he brought his tally up to five. His stature in Formula 1 continues to grow as his five titles put him tied with Juan Manuel Fangio with the second most championships. His 73 race wins are just 18 behind Michael Schumacher’s, his 134 podiums have him second on the list (although his average is best) and he is one of only three drivers to have scored 11 or more grand prix wins in a single season. He outright holds records such as most points in one season, 408 bagged this year, and most pole positions where he has 83 to Schumacher’s 68. Those numbers are all likely to grow next season as, at present, it doesn’t seem as if there will be a strong-enough challenge from any of his rivals to stop him claiming a sixth Drivers’ Championship title. But he’ll never be the greatest, not unless he can get the numbers behind him to support the claim. Ask most Formula 1 drivers who is the greatest of the greats and they’ll likely answer Fangio, Ayrton Senna, or Schumacher. Any three of those are justified whether it be for the period of time in which they raced, their popularity, or their stats. Fangio, who won 24 wins out of 52 races that he entered, competed at a time when safety was none existent and drivers genuinely risked their lives every time they stepped into the car. Senna, a triple World Champion, was a hero, not only for the Brazilian people but around the world. Schumacher has an unprecedented seven World titles and 91 race wins. Hamilton’s time, though not without its perils, sees ever-increasing safety standards in play. This year’s championship saw the introduction of Halo, a device that is designed to protest the driver’s head in the event of an accident or flying debris such as a tyre. F1’s strides to ensure a safer sport mean the last accident-related death was Jules Bianchi, who crashed at the 2014 Japanese GP. Prior to that it was Senna, who suffered a fatal crash at Imola in 1994. 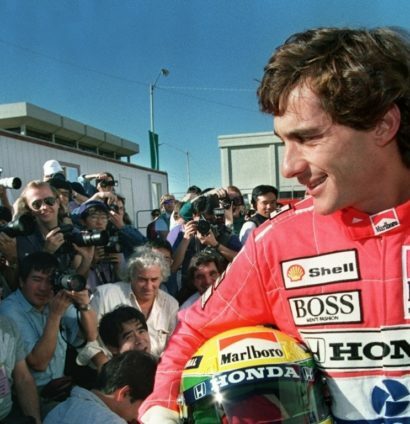 Senna was one of the most loved drivers to have ever raced in Formula 1, even to this day. He had natural instinct behind the wheel, he made overtaking look effortless, and lines such as “if you no longer go for a gap, you are no longer a racing driver” made him an inspiration to fans and the next generation of drivers. Hamilton is divisive, you either love him or hate him. During his career the driver has courted controversy. 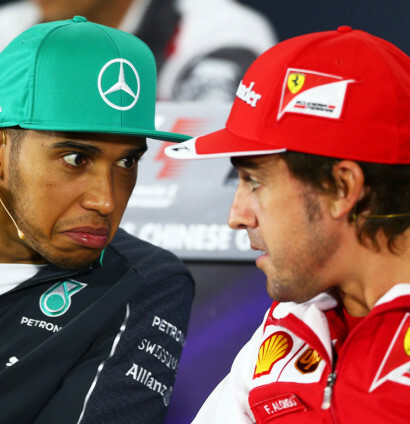 In 2007 the acrimony between Hamilton and Fernando Alonso tore McLaren apart and led to Spygate; two years later he misled the Australian stewards as to whether he moved over for Jarno Trulli thus earning the Italian a penalty; and was barely speaking to Nico Rosberg at the end of their relationship as they gave one another a beating out on track. On the personal side, he parties with the rich and famous; lives a jet-set life; launches clothing lines and is a PR nightmare when he insists on driving cars from rival manufacturers. And that may yet be what secures him that GOAT title. 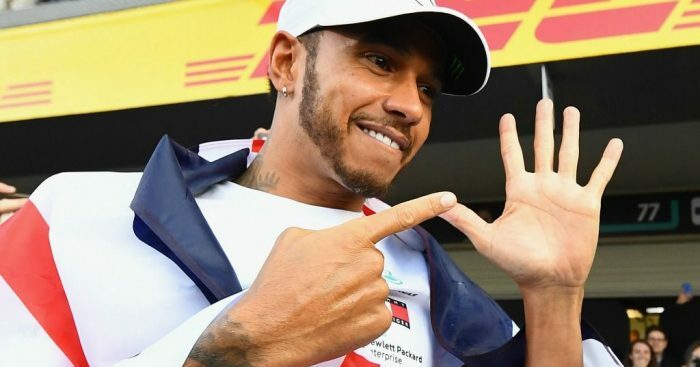 Although Hamilton has only – and I say ‘only’ like that isn’t a phenomenal achievement on its own – five World titles to his name, six seems to be written in the stars while there is plenty of time for seven. Earlier this year he signed a new two-year contract with Mercedes that will keep him at the championship-winning team until 2020, and Mercedes appear peerless these days. Ferrari tried and again failed this year as they shot themselves in the foot mid-season while Red Bull are swapping to Honda power, which may have improved in speed but not in reliability. Title number six seems a given and he would then go into the final year of his Mercedes deal chasing number seven. And even if he doesn’t achieve it at the first try, there is nothing stopping Hamilton from extending his stay in Formula 1 for another year or even four. A seventh title, maybe an eighth? At least then the stats will say Lewis Hamilton is the greatest.